Carl Gustav Jung was born in Kesswil, Switzerland on July 26, 1875. He obtained his medical degree from the University of Basel and did his psychiatric training at the Burgholzli Mental Hospital in Zurich. In 1906 he began an association with Sigmund Freud which lasted until 1914. C.G. Jung’s view of the human condition appreciates the unique value of the individual human being. His vision of the human psyche is so vast that we have as yet grasped only some of its implications. Jung’s work counterbalanced the one-sided intellectual development of the last centuries of Western civilization. His insight into the spiritual dimension of the psyche has profoundly influenced not only psychotherapy and psychiatry, but also education and the appreciation of religion and the arts. New attitudes and realizations of great importance to the individual and society have arisen from his rigorous and pioneering investigations into the nature of the unconscious. Jung found that the basis of much emotional unease and trouble lay in a damaged relatedness or unrelatedness to the sources of being. In making possible a more conscious relationship with the forces of the unconscious, Jung has immensely widened and deepened the potential scope of human awareness. He showed that modern men and women can accept the reality of the psyche without sacrificing intellectual integrity. On June 6, 1961, Dr. Jung died at his home in Kusnacht. A comprehensive article on the release of the Red Book from the New York Times. A PowerPoint presentation created by Rose Holt on the Fundamentals of Jung’s Psychology. This was originally shown for the C.G. Jung Society of Saint Louis on Sept. 19th, 2008 at “An Evening with Carl Jung”. NOTE: Be patient while viewing this online document as some images may take time to load. This was originally shown for the C.G. Jung Society of Saint Louis on March. 27th, 2009 at “The Alchemical Vessel: Tending the Seven Stages of Psychic Growth”. John Freeman’s Interview with Carl Jung, from the BBC program Face to Face. Thanks to Pam Behnen for finding this! 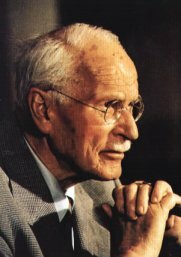 An interesting article by Erica Goode on how Jung’s ideas have grown in popularity in the recent past.